Casale dello Sparverio - My friend Mayssa tells you why it's great for a young family. 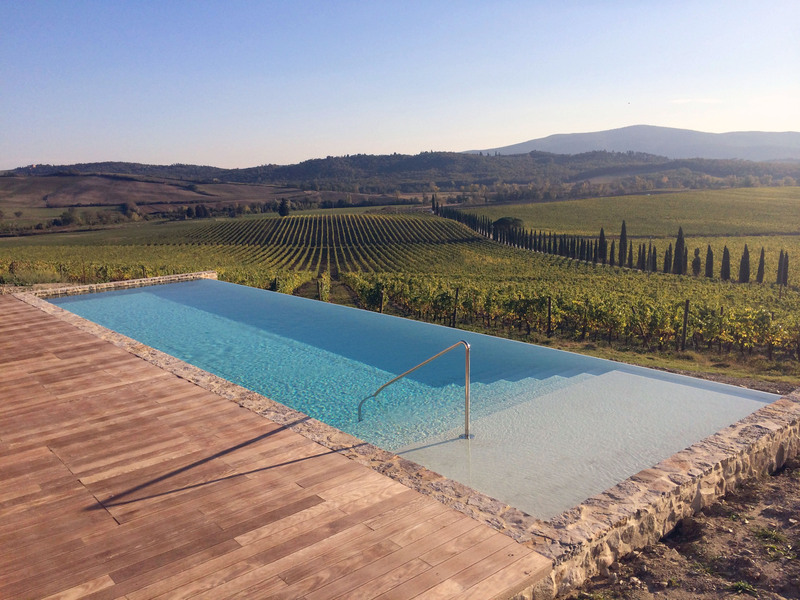 The Casale dello Sparverio is really a beautiful place to stay in the Chianti region if you’re looking for calm and ideal spot to visit from. This vineyard rents out a few furnished apartments in a gorgeous old house which also houses their office… and the wine! The whole ground floor is indeed used to store the wine barrels so it’s also very nice to think you’re sleeping in a very original environment. The appartements are very comfortable yet simple. With 2 bedrooms we were very comfortable there with our 2 young kids and 1 year old baby. They even had a baby bed for us. The place was very clean and the best part was definitely the view. Whether in the morning or at sunset, watching the sun shine on the thousands of vines around you and the different colours was just breathtaking. The staff there was also very helpful and welcoming. You can do a free (very detailed!) tour of their wine & olive oil production site which is right by the guest house, and of course, it ends with a wine tasting which can only lead you to bring home a few bottles of their grand cru! This agroturismo is also a well located base to visit some of Tuscany’s best sites: Siena, Monteriggioni, San Gimignano or Voltera are all just 15 to 30minute drives away. All in all, it seems a really nice way to discover Tuscany with a young family. Many thanks to my friend Mayssa for taking the time to send photos and this review! Monteriggioni is a 10-minute drive from the Casale Dello Sparviero. Siena is 12.4 miles away. I finally found a boutique hotel in Croatia! Discover Little Green Bay Hotel Bienvenue review – has the trend for hipster hotels reached its limits?